The NEW A-Series Advantage platform adds significant functionality to the popular A5 and A7 anesthesia systems, offering compelling benefits that enhance clinical care and improve user satisfaction. With more choices in ventilation modes and support, you can build just the right system configuration to meet the needs of the most challenging patients from neonatal to bariatric. The modular feature design offers scalable functionality with optimized anesthesia delivery and workflow efficiency allowing healthcare facilities the flexibility to create the ideal system to suit both clinical and financial requirements. 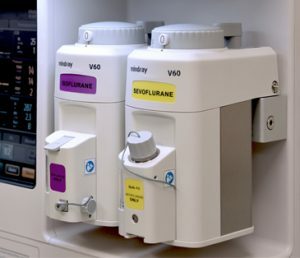 From the basic needs of the ASC to the complex OR suite environment, the new A-Series Advantage anesthesia delivery systems give you more choices to provide better patient care. The A4 Anesthesia System is a versatile anesthesia delivery solution for effective patient care across a wide range of healthcare facilities. The A5 Advantage System offers modular scalability with advanced ventilation modes and digital technology for effective care across a wide range of patient types from neonate to bariatrics. The A7 Advantage Workstation further expands the A-Series capabilities with electronic fresh gas control technology to ensure precise flow dynamics as well as accurate and responsive support for your clinical and cost-saving requirements. 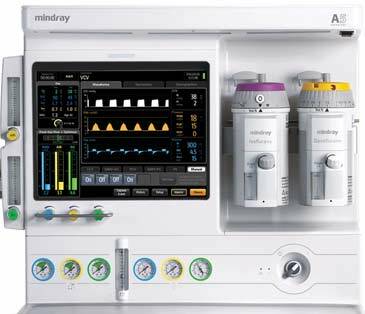 Mindray offers a full range of reliable, maintenance-free variable bypass anesthetic vaporizers for use on the A-Series anesthesia systems to support clinical and pharmaceutical requirements. 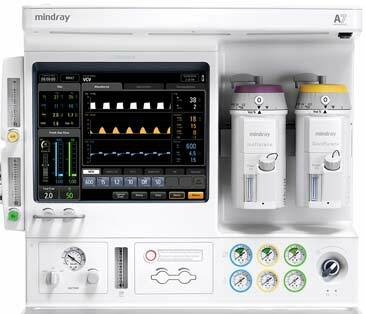 Mindray offers a wide variety of Anesthesia Machines for effective patient care across a wide range of healthcare facilities. 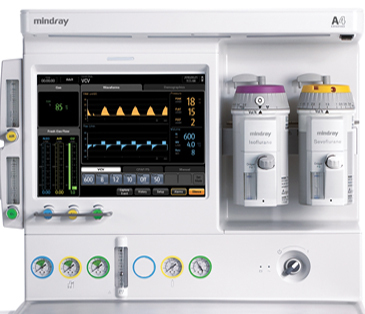 Mindray’s anesthesia machine designs allow customization of ventilation capabilities suited to mid-acuity hospitals and ambulatory surgery centers, with optional ventilation packages, integrated gas analysis, and capnography. Our Anesthesia systems come with a standard 3-year warranty* and include comprehensive clinical training by Mindray’s specialists.